Super Mario Run brings in big bucks for Nintendo on iOS! 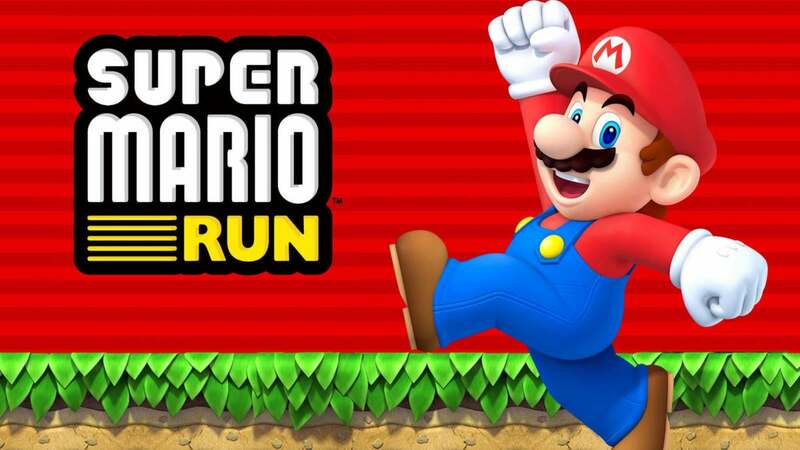 Nintendo’s Super Mario Run for iOS is a huge hit, with more than 5 percent of users paying the full $9.99 price for the game for a total of more than $53 million in revenue. Many people questioned the wisdom of Nintendo when the company released its Super Mario Run game for iOS with a $9.99 price tag for the full game. Unlike many other developers, Nintendo didn't want to nickel and dime gamers by releasing a game full of annoying in-app purchases. Well it turned out that Nintendo was quite right to release Super Mario Run with its flat $9.99 price. So far the company has pulled in more than $53 million dollars with around 5 percent of users paying for the full game. Not bad for Nintendo's first effort with Mario on iOS! Today's update to Super Mario Run also includes compatibility with Korean, new events, an adjustment to how many toads are lost and gained in Toad Rally, and more. A few days after the game launched last month, Nintendo began surveying some customers and asking their opinions on how much the game should cost, what modes they liked, and if they would play a sequel, suggesting that the company is willing to take constructive criticism regarding the largely negative feedback to the game's pay structure and tweak it for a potential Super Mario Run 2. Clearly this is very good news for Nintendo, given how much criticism the company got for charging $9.99 for a mobile game. Once again the power of Nintendo’s Mario franchise can be seen in how well the game has performed in terms of revenue. I found the last paragraph included above to be quite interesting, it seems like Nintendo might already be planning or working on a sequel to Super Mario Run. And the company seems very interested in user feedback on the pricing and structure of a new Mario game for iOS. We’ll have to wait and see what Nintendo comes up with but, given the success of Super Mario Run, I bet we see a sequel sometime next year. There’s just too much money on the table for Nintendo not to do another Mario game. If it happens I hope that Nintendo will consider doing a more traditional Mario game that allows the player to move Mario in any direction they want, similar to the Mario games found on the 3DS and other Nintendo hardware. Macduke: “Yeah, it's a bit different than most Mario titles, but once you let go of that it's pretty fun in a different way. Once you get the ins and outs, it's quite fun racing others and trying to collect the trickier coins. I've been waiting for it to get a harder mode, or some more difficult levels, or another advanced level of coins to collect. I'd like to see them expand the level design with more vertical exploration of different pathways. B11051973: “I really enjoyed this game. Easily worth $10. I got all the first 2 color of coins. Was half way through the last one. I just could not get all the coins on this one level and quit. Never been motivated to go back to it. Devie: “Worth the $10. Had a lot of fun getting all the coins. Couple black ones where pretty difficult. Easy mode pfft. iLunar: “$53 million is great for their first effort. Hopefully this will continue to be an area Nintendo explores.